INDIGOx: Submit your game for xDISCOVER! 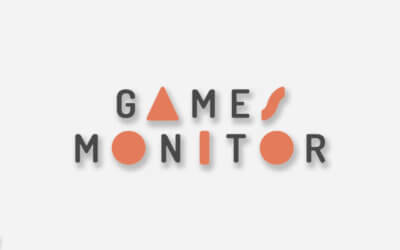 Games Monitor 2018: Take the Survey! Every first Wednesday of the month, Dutch Game Garden hosts a network lunch for companies and parties interested in our program. An afternoon of efficient networking for creative professionals, teachers, project leaders, future interns, students and potential clients. The network lunch starts at 12:00 with a brief summary of news from Dutch Game Garden and an update regarding events and activities. A short round of pitches will follow this, where you can present yourself and your ideas to those present. Many attendees find clients, projects, jobs and internships through this networking event. Every month, we present promising new games by both students and professionals. The creators themselves will be there to present and to answer any questions. 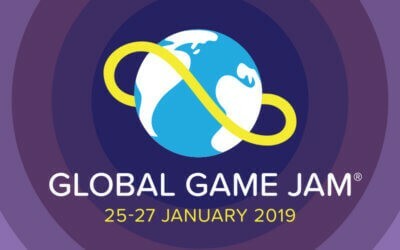 Play the games and come to see some of the latest talents from the Netherlands! You don’t have to bring anything yourself, we will provide sandwich things, as well as other tasty snacks. Feel free to leave your contact details with us. We will send out an email to all those interested in getting into contact afterwards. Are you a student? Let us know which program you are attending, which school, tuition year and the goal of your internship. We have a limited number of spots for students every month and will make a selection based on your information. Do you want to come with more than 3 people? Please let us know at least one week in advance. Show your game and drink a beer. 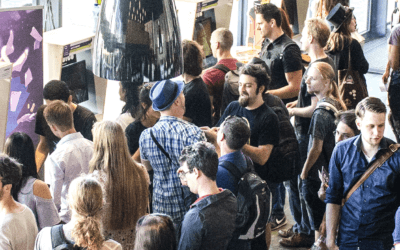 In this monthly meetup, Dutch developers and their (international) friends invite you to play each other’s games, give feedback and informally enrich your professional network. On the 18th of April at the Imagine Film Festival in Amsterdam, Rhianna Pratchett will take the stage for an extensive career talk. Rhianna started out as a game journalist, but soon moved on to scriptwriting and narrative design. She contributed to Beyond Divinity and wrote the script for the successful game Overlord (Triumph Studios). Over the past years, Rhianna has become increasingly active in the field of film and television. Join the two-hour long career talk about her love of genre, the differences and similarities between games and films, and ask your own questions! 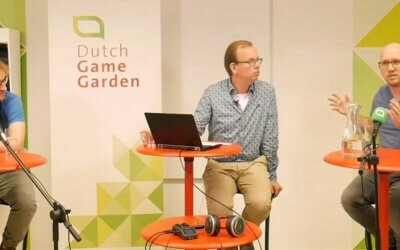 Dutch Game Garden’s incubation program helps promising game startups develop into fully-functioning game companies. 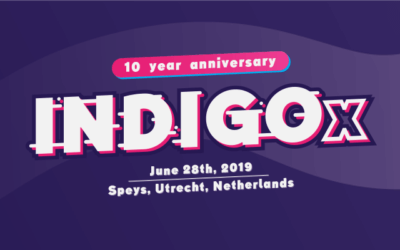 INDIGO is an international game showcase organized by Dutch Game Garden. At INDIGO, you play the best and most outstanding games made by independent developers. Game Garden Agency helps game studios find publishers, investors, and work-for-hire projects. Take a look at our portfolio to learn more. Dutch Game Garden is supported by the city of Utrecht and the province of Utrecht.